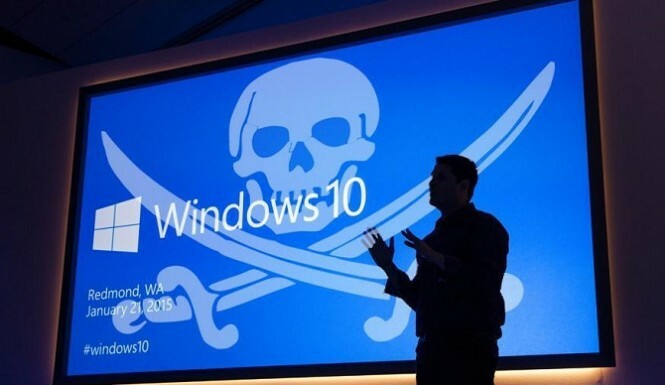 Windows 10 Can Lock Pirated Games And Unauthorized Hardware? Home Articles Windows 10 Can Lock Pirated Games And Unauthorized Hardware? Over the past week, reports have propagated that the terms and conditions of Microsoft’s new operating system, Windows 10. In terms it has grants it permission to disable or delete any pirated software, whether proprietary or third-party, Microsoft Services Agreement Section 7.b. in end-user license agreement. All Xbox One games and Microsoft’s first-party PC games may be scrutinized and locked down, but the company’s definition of “unauthorized hardware peripheral devices” is a bit suspicious, how they define unauthorized, will modded controllers and gaming mouse suddenly be locked out? PC Gamer notes that all software shouldn’t be affected by the sweep, only first-party Microsoft games and services are can be remotely disable. But I don’t think Microsoft has ability to blocked access to pirated third-party software or game, because if they want to sweep 3rd-party software then need there customer data, considering the taking all customer data from so many other companies is ridicule.